« Hacking Cell Phone Displays –> Travel Route Timer? This entry was posted on Thursday, August 17th, 2006 at 08:05 am	by Keith Neufeld	and is filed under Miscellaneous. You can follow any responses to this entry through the RSS 2.0 feed. You can leave a response, or trackback from your own site. Do you have the model numbers of the other probes that would work. I am buying a 1230 which is the exact same as the 1220 except more inputs. The model numbers I got from Tek were P6442, P6443, and P6444. Hope that helps! 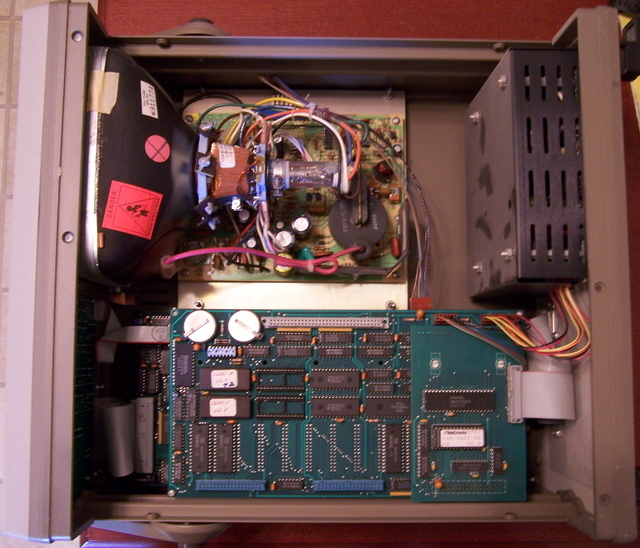 I have a Tek 1240 LA too with 3x P6444 logic pods and 1x PM403 6502 disassembly pod. I was hoping you might have some info on where to find more accessories other than eBay. 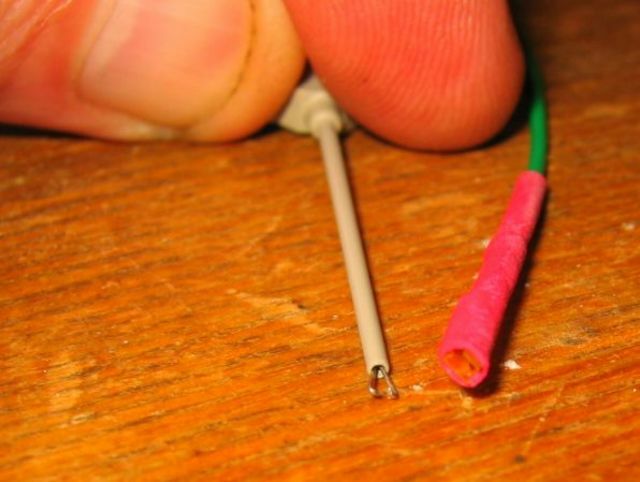 I was hoping to find more of the 10pin idc ribbon cables for the probe wires – I had to make some myself for the moment. Also I was hoping to find disassembly pods for the various processors, 8080, Z80, etc. As to the ribbon cables — I think making your own is about the only alternative you’re going to find to eBay. I’ve got a 1220 also; also no manual. I did find one with another LA once, but the seller wouldn’t sell it separately, nor would he scan it… not suprisingly, but hope springs eternal. 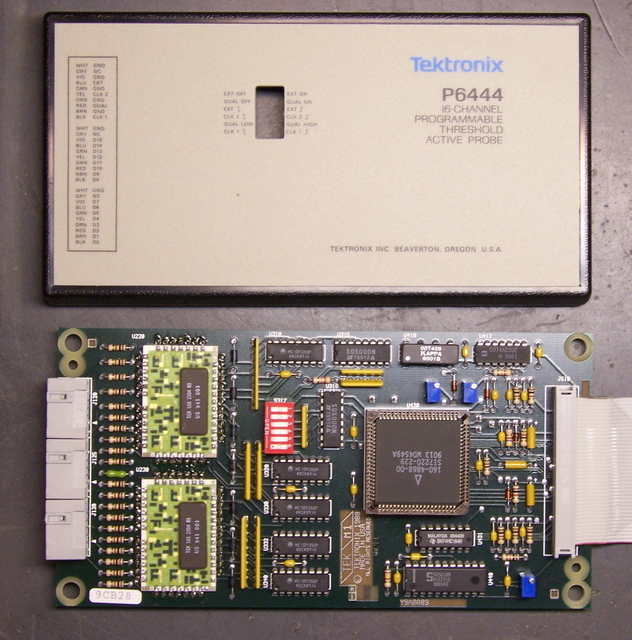 I have a PM 403 (6502/65C02/65C802 module) and a PM 404, 8085 module, along with a 6442 general purpose module. Have you ever found a manual for yours? They’re easy enough to use… but we always want to know all the details, right? I got a 1225 running, without probes, I didn’t find any manual/article/specs or other stuff which could give me the right probe model compatible with 1225. In some sites it is written P6442, is it the only one or also P6444 could be successfully used? Andrea, I have the impression that the P6442, P6443, and P6444 all work with the 1220, 1225, and 1230, but I don’t actually know for sure. I’m not sure if you found this yet. There’s a website which has a pdf file of the 1230 brochure. I made a typo in my last post, I actually have the 1230 LA. This shows all the available accessories and pods for this model. I downloaded it before the site disappears. I’ll have to take a break one day and open it up to take some pics. It would be great if we could reverse engineer this for other processors. Then you wouldn’t need to buy more processor pods. You could then make some sort of adapter instead for the different cpu pinouts. Just a thought, I’m thinking about reproducing the Processor pod for the 602. And perhaps if I dig around some more, I hope to find the info on how to program this to clone a 8080 and Z80 processor pod. 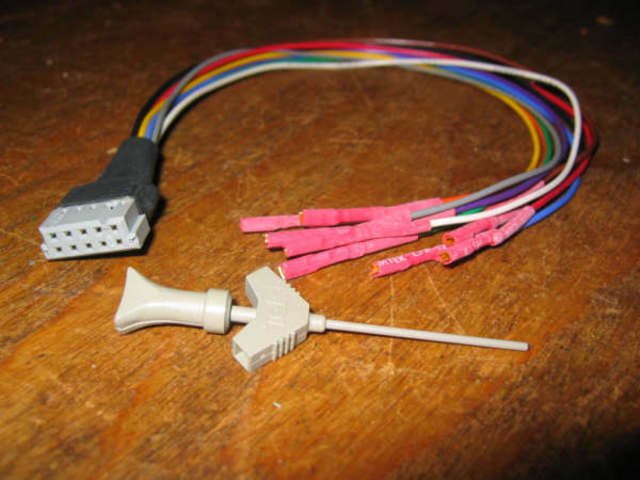 There’s an EPROM in the processor pos which is loaded into the 1230 series analyzers to configure the settings, trigger memory or I/O operations and also map the 6502 instruction set so you can trigger on the target’s firmware. I have to find a manual for the 1230 to see what processor they use, maybe it just another one of the 8bitters. Then it should make programming easier. Sometime later, I can upload the Eprom in the processor pod, so we could all try to disassemble it. oh and about the processor pod itself. I forgot to mention, it’s very easy to reproduce this, nothing but good ol’ TTL logic in there. It’s not like the Logic pods we have, as pictured here on your website. oops, I skipped right over the picture you have of the guts. You mention it looks like a portable 6502 computer. Is that all that’s in here ? That should be a breeze. 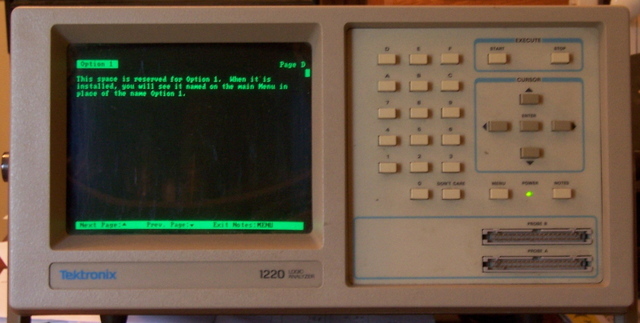 Now we would have to figure out the Software I/O for how it manages to configure the settings inside the Logic Analyzer. I’m not sure if the manual will tell use this – if I find one.